Goldcoast Ballroom & Event Center | Family Thanksgiving - Thursday, November 22 - at Goldcoast Ballroom! - $25.00 Donation or Sign Up to Bring a Dish! 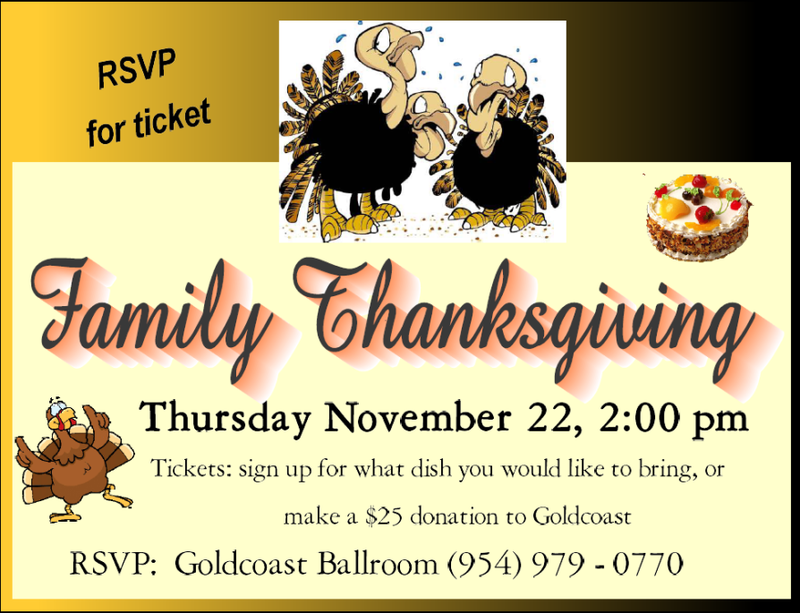 Family Thanksgiving - Thursday, November 22 - at Goldcoast Ballroom! - $25.00 Donation or Sign Up to Bring a Dish! 2:00 pm at Goldcoast Ballroom! $25.00 Donation or Sign Up to Bring a Dish!